Device Health is the newest Windows Analytics solution that complements the existing Upgrade Readiness and Update Compliance solutions by providing IT with reports on some common problems the end users might experience so they can be proactively remediated, thus saving support calls and improving end-user productivity. Like Upgrade Readiness and Update Compliance, Device Health is a solution built in Azure Portal, a cloud-based monitoring and automation service that has a flexible servicing subscription based on data usage and retention. This release is free for customers to try and will not incur charges on your Azure Portal workspace for its use. For more information about Azure Portal, see Windows Analytics in the Azure Portal . Device Health uses Windows diagnostic data that is part of all Windows 10 devices. If you have already employed Upgrade Readiness or Update Compliance solutions, all you need to do is select Device Health from the Azure Portal solution gallery and add it to your Azure Portal workspace. Device Health requires enhanced diagnostic data, so you might need to implement this policy if you've not already done so. Get started with Device Health: How to add Device Health to your environment. Using Device Health: How to begin using Device Health. An overview of the processes used by the Device Health solution is provided below. You don't have to install Windows 10 Enterprise on a per-device basis--you just need enough of the above licenses for the number of devices using Device Health. (1) User computers send diagnostic data to a secure Microsoft data center using the Microsoft Data Management Service. 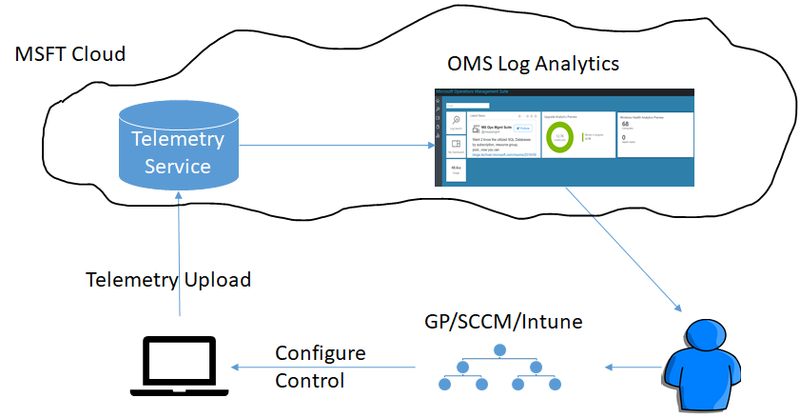 (2) Diagnostic data is analyzed by the Microsoft Telemetry Service. (3) Diagnostic data is pushed from the Microsoft Telemetry Service to your Azure Portal workspace. (4) Diagnostic data is available in the Device Health solution. (5) You are now able to proactively monitor Device Health issues in your environment.